How Do I Get Lifestyle Images For My Marketplace Domains? Learn how to get a complimentary lifestyle image designed for your premium domains. Lifestyle images can greatly enhance the discovery and buyer interest for your marketplace domains. Squadhelp spends significant marketing funds every month to promote premium domains to prospective buyers on Google, Facebook etc. The names with lifestyle images receive even more exposure by getting included in special marketing campaigns. 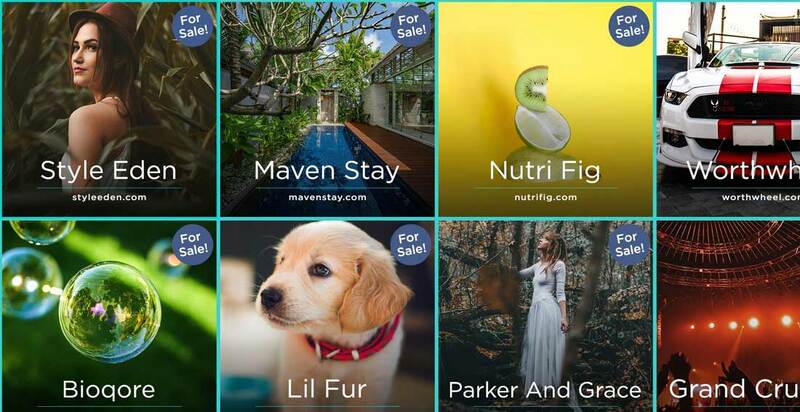 Our internal branding team automatically selects several domains from our Marketplace each month and designs a complimentary lifestyle image for those names. Share the details of your overall SH marketplace experience, or recent domain sales on a third party Domaining website such as NamePros or DNForum. After posting, send us a link or screenshot of your post via email (service@squadhelp.com) or Chat. You will earn anywhere from 1 to 3 Image Credits based upon the length, depth, uniqueness, and helpfulness of your post (as assessed by the Squadhelp team). You can use each Image Credit to request a new lifestyle image for a domain, or receive a complimentary revision to one of your current Marketplace logos (without paying the $10 Logo revision fee). Where Can I Post? Although you can post your experience on any Domaining related websites or threads, here are some threads that might be relevant (Topic 1, Topic 2, Topic 3). Content Guidelines: Please keep your content original, balanced and factual. Please avoid posting promotional content. We recommend sharing your own experience with specific facts such as specific domain sales, or any other relevant information. Note: You can earn a max of 6 image credits per month.